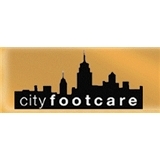 City Footcare (New York) - Book Appointment Online! Dr. Silverberg is Board Certified by the American Board of Podiatric Surgery. Dr. Silverberg’s office is conveniently located in Midtown Manhattan near Grand Central Station. Dr. Silverberg takes great pride in providing excellent medical care along with great bedside manner and takes the extra time to explain your problems and the treatment options in detail. At City Footcare we treat all problems related to the foot and ankle. We use state of the art diagnostic and therapeutic equipment. When your problem requires surgery, you can rest assured that you are in the hands of a competent and highly trained surgeon. The doctor performs all foot and ankle surgery including traditional open surgery, minimally invasive surgery, laser surgery, radio frequency surgery and extra-corporeal shock wave therapy. He is hospital and surgery center affiliated. To resolve all of your foot and ankle problems, simply look around this site and make an appointment with Dr. Silverberg today. Your feet will be glad you did! Dr. Lupoli was professional and made great conversation. I've visited him 3 times already with a persistent corn on my left foot. Between the 1st and 2nd visit, the corn came back in about 2 months, but following his treatment and advice, it took a year or so for me to need a 3rd visit! Now the corn is probably permanently gone, so I'm sad I will probably never have to visit him again. It was great, she made me feel hopeful about my recovery. Dr. Shtarkman is a great doctor. She is very thorough and takes the time to explain everything and does not rush through your appointment. I am very happy to have found her!